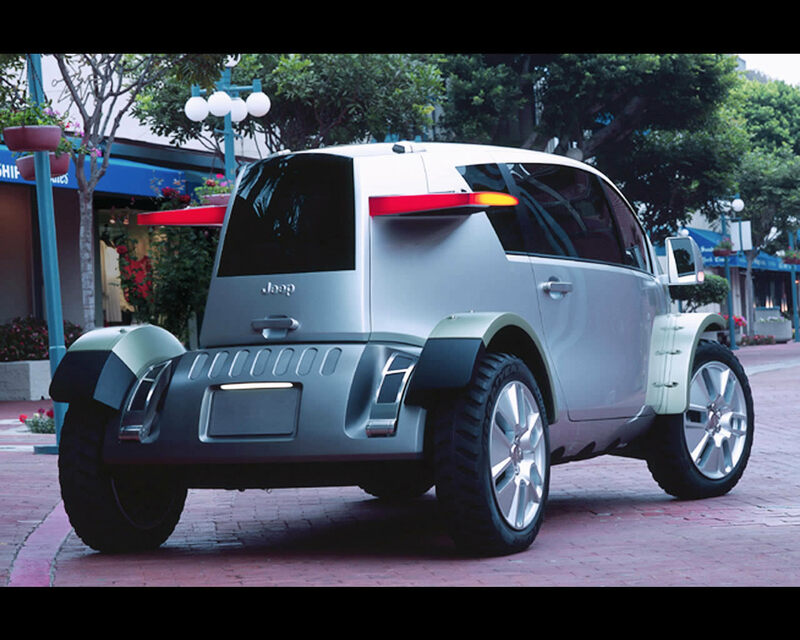 The Jeep® Treo Urban Active Jeep Concept 2004 was a vivid new interpretation of where the Jeep® brand could go in the future, the Jeep Treo exemplifies the idea of “fluid imagination” thinking in a stunning, unexpected package – a form and presence that challenges the brand’s traditional dimensions, but in the end, can still be viewed as authentically Jeep. 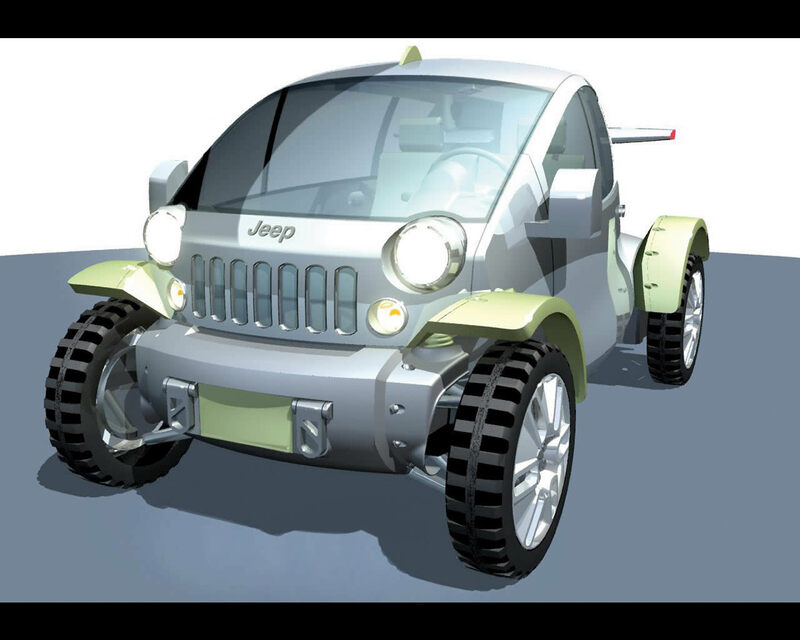 The Treo is the next-generation, urban-active Jeep – one that will allow it to thrive in a city or campus environment, yet one that will easily take its owner to the trailhead. 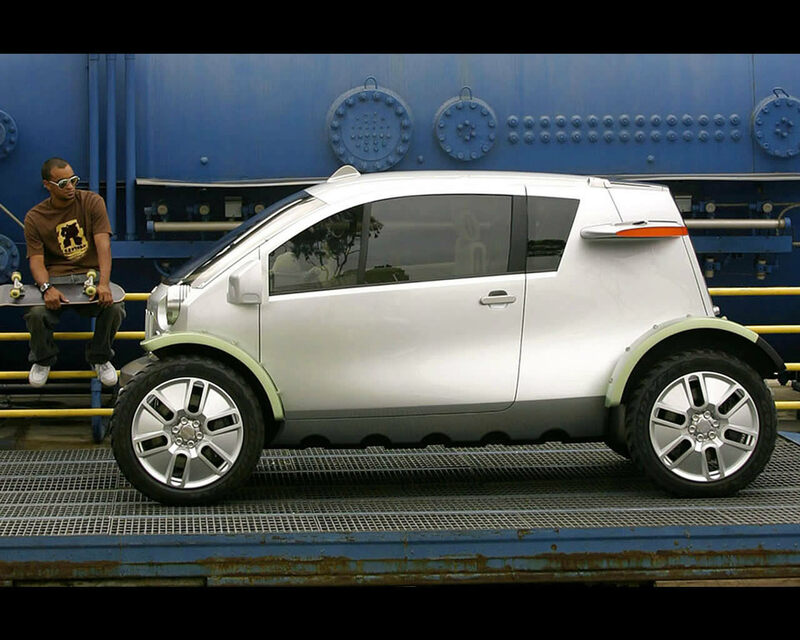 All of this adaptable with the ability to use the freedom of fuel cell technology. Advanced, Efficient, Environmentally Accountable Propulsion Treo’s forward-thinking design brief is matched by its equally forward-thinking alternative propulsion system. 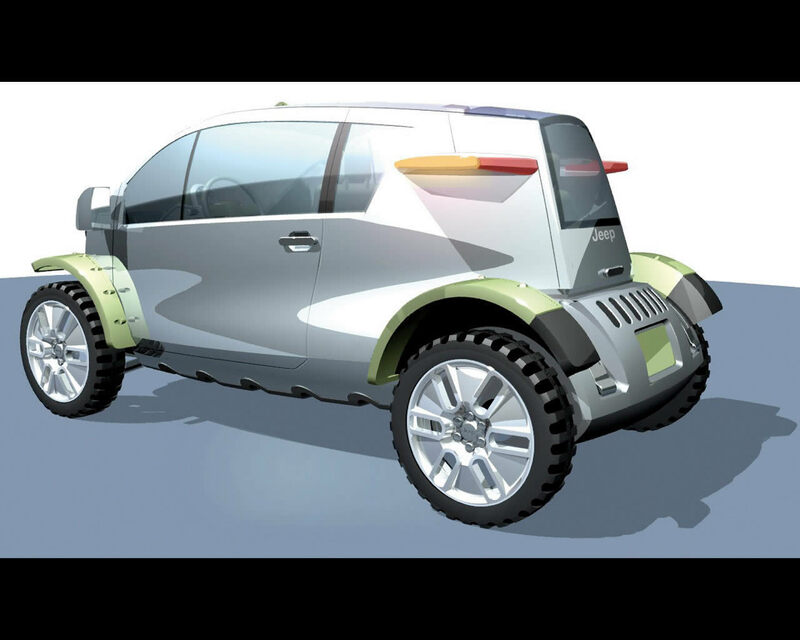 Imagined with an efficient, hydrogen fuel cell powering all four wheels via dual electric motors, the Treo is designed to operate in all conditions – while being sensitive and accountable to the environment. Treo – a name meaning “three” in various languages - comes from the concept’s unique 2 + 1 seating configuration, which can be changed to accommodate a 2 + gear scenario. 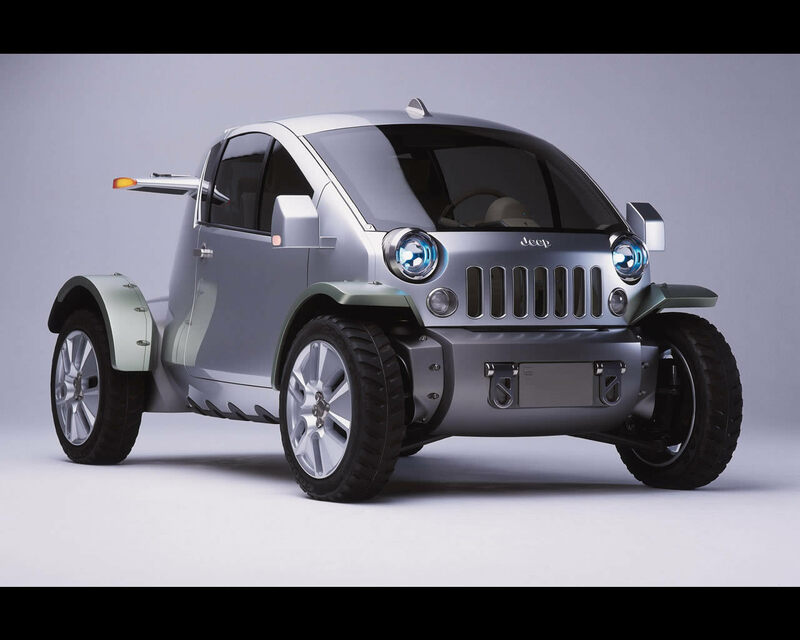 The Treo’s “face” presents a bold new Jeep signature – despite the concept’s compact dimensions. The classic Jeep design elements – the seven slot grille, large “eye” headlamps and the prominent windshield presence – are freshly nuanced and then enhanced by a purposeful lower-front bumper with rugged, oversized tow hooks, slightly exposed front suspension component and bolt-on fenders. The Treo’s shape narrows front-to-back, and culminates in a dramatically tapered tail, which is augmented by twin, high-mounted spar wings that serve a triple functional role as running, brake and tail lamps, cooling air intakes and as the exterior mounting points for twin Jeep Rubicon bikes. 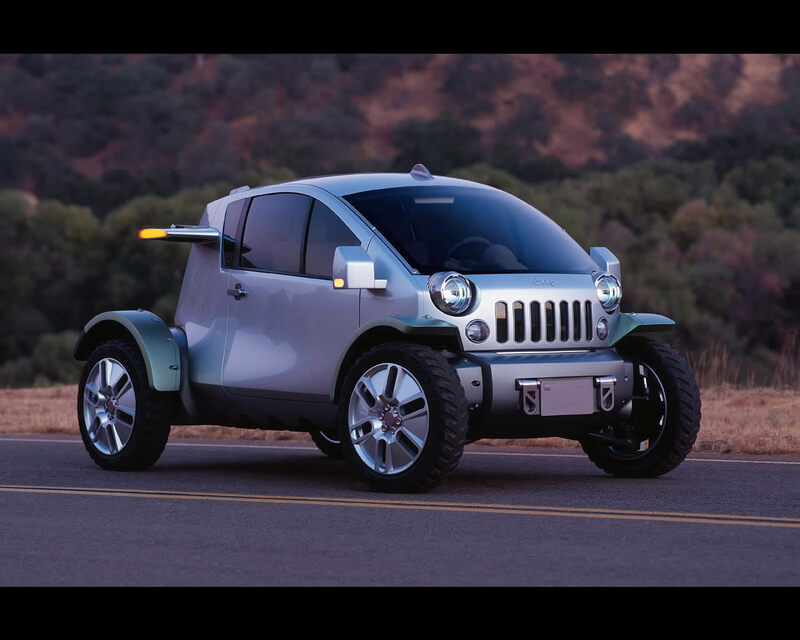 “Treo’s look is rugged and purposeful – a truly imaginative evolution of the Jeep ‘face’ with packaging that belies its compact dimensions. It has real presence in the flesh, one that grows more interesting every time you look at it – from every angle. 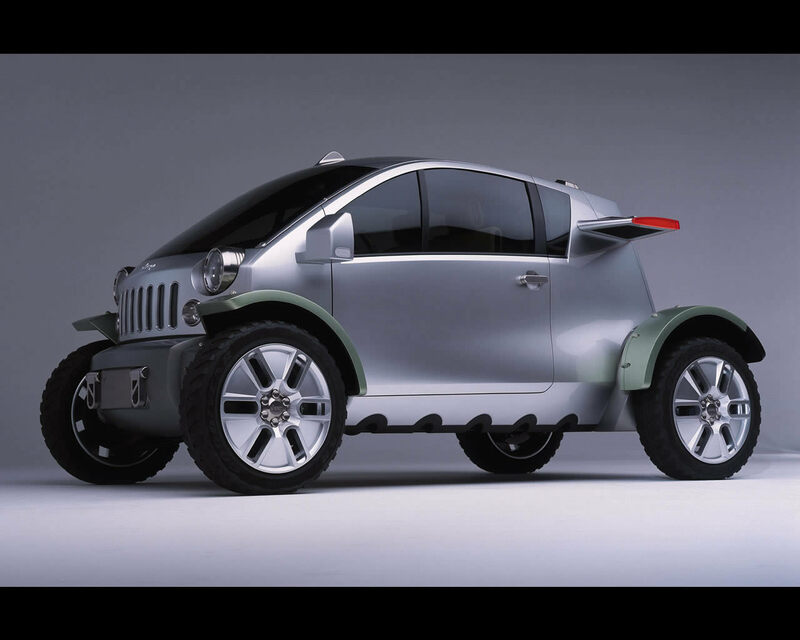 “ said Trevor Creed, Senior Vice President, Chrysler Group Design. An advanced drive-by-wire system provides a fascinating functional detail to the Treo interior, which in turn allows for instant adaptability for either left- or right-hand drive. 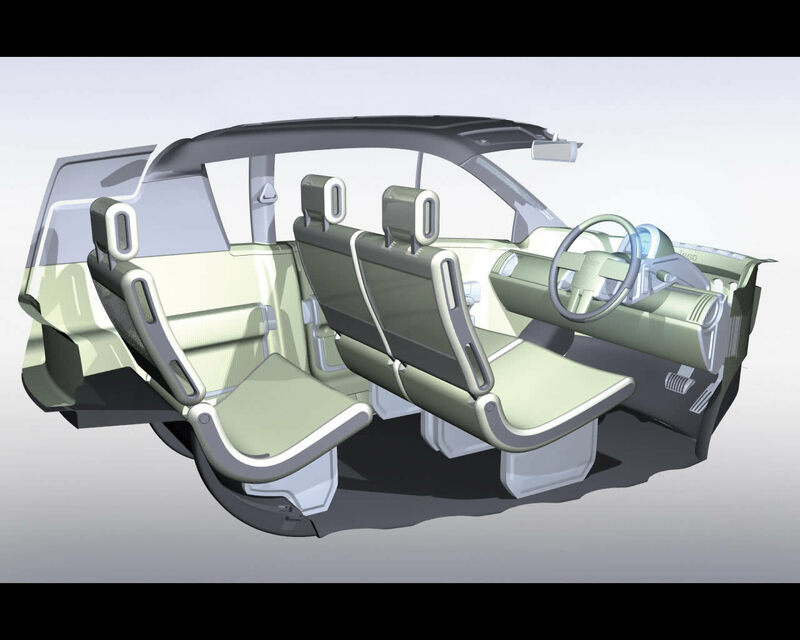 The steering column, pedals and instrumentation are all contained in one module – a single piece of sculpture that can be easily slid to either side of the car – which mounts to a one-piece structural beam (a second module contains the radio, GPS and HVAC controls in a touch screen that is removable). 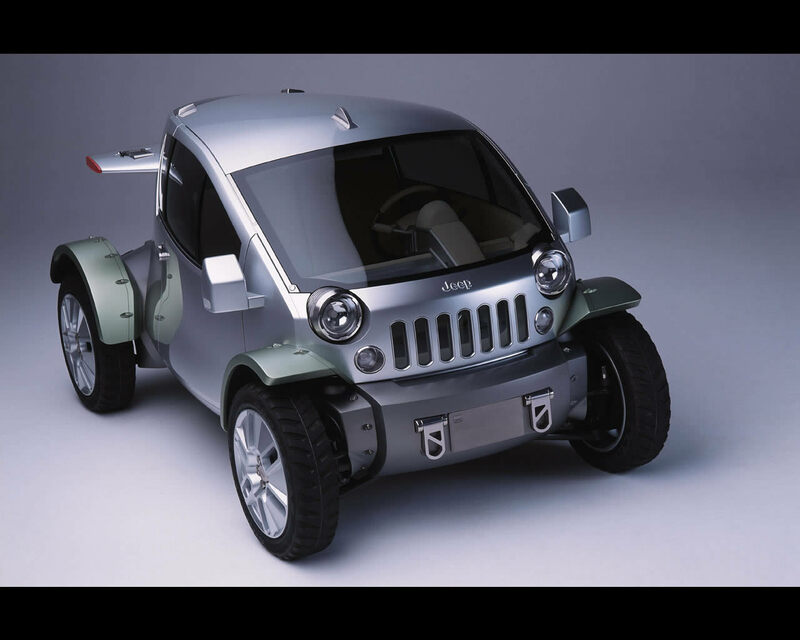 This unique functional design feature, combined with the added visibility provided by the Jeep see-through grille and its creative greenhouse design, contribute to the Treo’s roomy, airy interior – allowing it to take full advantage of natural and ambient light sources. 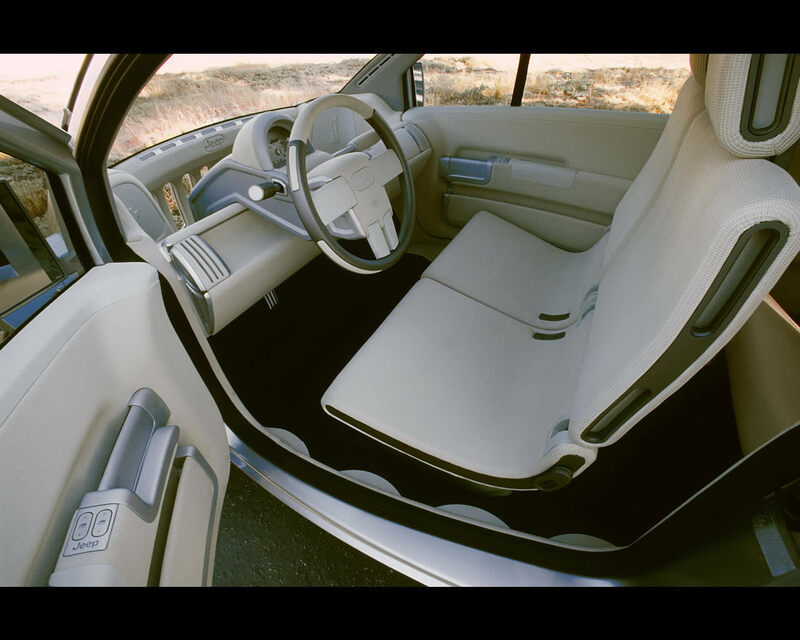 The overall effect of the Treo interior is one of spaciousness and usability. Future-tech materials mesh with tactile textures and surfaces, which results in an interior environment that’s bright, open and functional. The Treo’ s rear seat can be folded to store more gear, although the front wheels from the exterior-mounted Jeep Rubicon bikes can be stored in the back without disturbing the rear passenger.